The residents of the nearby town of Wedowee, Alabama prefer to call it, “Lake Wedowee”. Officially its called, “R. L. Harris Lake” Impounded in 1983. With the completion of R. L. Harris dam (after 9 years of construction) this 30 mile long lake was finally opened to the public in 1983. No matter how you pronounce it, Lake Wedowee / Lake Harris, is Alabama’s youngest man-made impoundment…perhaps the last reservoir to be built in Alabama. It is also Alabama’s most well kept secret, among big bass enthusiasts. Records show more really big, trophy-sized largemouth bass (those exceeding ten pounds), have been taken out of this relatively small man made impoundment (of only 10,660 acres) than any other lake in Alabama in years past. That’s really saying a lot, with so many other choices of much older lakes and of some much larger impoundments in Alabama to consider. 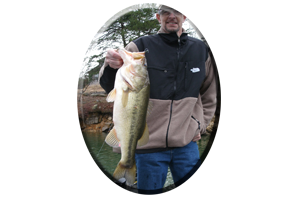 Past records show more of these big largemouth bass (some on record weighing from ten to fifteen pounds, while others weighing a little over sixteen pounds), have been taken out of Lake Wedowee’s deep, timbered waters during the months of January and February. 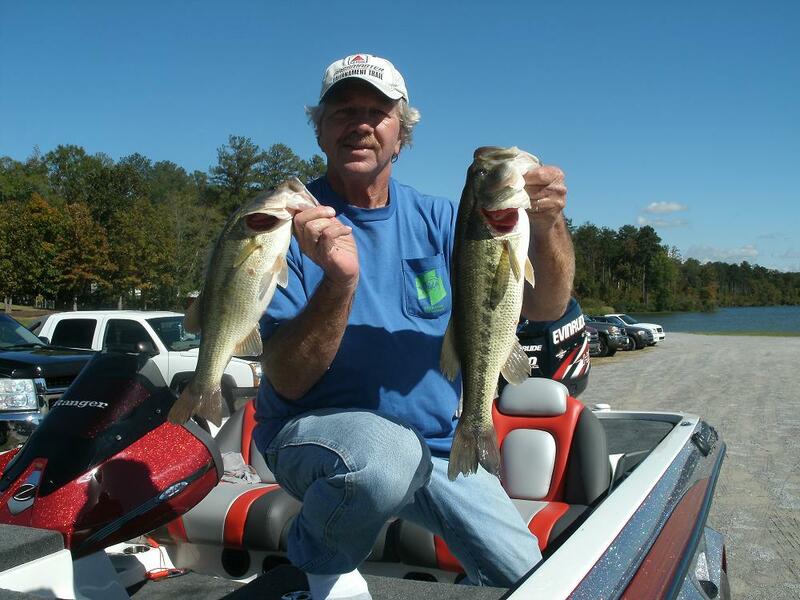 With an upsurge in Big Bass activity about every 5 years since the lake was impounded, its time for another “big bass bonanza” to take place on Lake Wedowee this winter and spring season. So, in short, if your looking to go after a real, trophy-sized bass, Lake Wedowee is the place to be this winter season during the months of January and February. In addition, we can add the month of March as a pre spawn month, when many of these really big largemouth bass make their move towards the lake’s shallow, spawning grounds. Any time an angler prepares for a fishing trip he/she has to consider the conditions he/she will be up against. So here’s some suggestions for fishing all the right places and being there at the right time, this winter on Lake Wedowee. 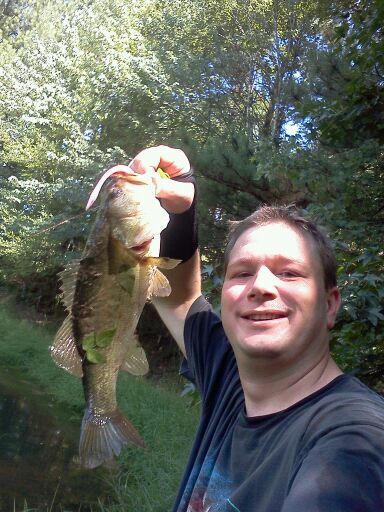 Low Water, Cool Water, Heavy Rains, Cold Fronts, Warm Fronts and BIG BASS! 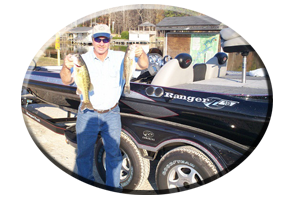 Planning any trip to Lake Wedowee during the winter and early spring months an angler can call 1-800-lakes-11 and get the current lake levels (and water generation schedules), before heading out to the lake. The lake is going to be down, at times down more than 10 feet below normal, full pool levels. So boat navigation should be considered and extreme caution is advised. There was a lot of standing timber left in Lake Wedowee during impoundment during construction of the lake. Low water concentrates the entire lake’s fish population during winter. This means both predator and the prey will likely be homesteading the same waters. During January and early February , these big bass still roam around a lot usually staying with the schools of small baitfish they constantly dine on. These really big bass instinctively continue to put on the needed weight to survive a cold harsh winter, feeding continuously before the lakes waters really cool in February. Warming trends move the bait fish shallow around sparse cover due to low lake levels. In come the big bass as they follow the bait fish towards the lakes shallow wood and rock cover all throughout the months of January, February and on into March. These huge bass also feed a lot on crayfish. High in nutrition, crayfish can be found lake wide. Shad look-a-like lures or crayfish imitating lures have fooled a lot of really big bass on Lake Wedowee during winter’s past. Low water concentrates bass and prey around rocky banks, rock bluffs and boulder-strewn banks during winter. Places they feed in all winter long. * COOL WATER and COLD FRONTS – Cold fronts exist all throughout the month of January. With these cold nights and cold days consecutive, the lakes waters can cool considerably, often in the low to mid forties, if a severe cold front exists for more than one week. Warmer water can be found in the deeper depths, if an angler stumbles onto that big bass school. * WARM FRONTS – An easier way to find more active big bass in warm water is to constantly watch your water temperature gauge. Fishing sun-drenched pockets and other shielded banks (those that receive a lot of sunshine), can show much more active bass by the mid day to late evening period. Generally the lakes northeast banks, including small cuts, pockets and feeder creeks, get the most, “water warming sunshine” in a days time. * HEAVY RAIN – During January wintertime rains can occur for several days. With the incoming headwaters of the Big and Little Tallapoosa Rivers the mid-to-upper lake can get very muddy. Any major feeder creek can be downright muddy for days when heavy rains occur. If faced with this problem an angler has two choices. * Either fish the mid-to-lower lake where stained to muddy water is filtered out displaying generally clearer water during rainy conditions. * Or an angler can explore clearing areas such as the lakes headwaters, the backs of creeks, or any of the many small cuts and pockets with little or no run-in to muddy up the water. * He/she can choose to fish with lures that emit sound and put out a lot of flash and vibration when confronted with stained-to-muddy water conditions. BOTTOM LURES – This lure line up can be many, with so many lure choices being made today. Lures meant to be drug on the lakes bottom (or just above the lakes bottom) have increased over the past few years. * Worms – Generally an angler can fish a six inch worm or go for bigger bites with a 10 -12 inch worm, rigged Texas style. Slow is the key. * Lizards are great lures year round for big bass bites. Like worms they can be fished Texas style or rigged Carolina rigged with a 1-3 foot leader that is drug across the lakes bottom, only it rides higher in the water than Texas rigged lure. You can fish small 4-6 inch lizards for many bites or go for fewer bites (but bigger bass) with a 8 -10 inch lizard imitation. * Tube baits have been around a long time, but still a lot of anglers fail to even give them a try. They too come in small 2-4 inch sizes or you can try bigger models of 5-8 inches for that bigger bass bite. Rigging the bullet weight inside of these tube baits creates a very weedless lure. Fish slow and watch for strikes as the Tube bait is falling. * Creature Baits – Like other poured plastics these odd looking lures can be rigged Texas-rigged or Carolina-rigged. Most creature baits have 4-6 trailing legs, arms, appendages or tails for that added enticement. Creature Baits also create more water displacement aiding the bass in finding these lures in off colored water. * Jigs and Jig Combos – Some anglers fish rubber skirted (or silicone skirts) jigs right out of the package with no trailer. Others add a pork chunk, plastic chunk, plastic crayfish, worm, lizard or other trailing appendage to their jigs, creating a jig combo. These are deadly lures on Big Bass in the winter months, perhaps simulating the crayfish crawling across the lakes bottom these big bass are constantly constantly eating. Although generally not thought of as a wintertime lure, topwater lures of all kinds can entice a big bass to rise to the waters surface. Buzzbaits or walking type topwaters like Zara Spooks will work. If conditions are right. Warming trends can bring up the lakes water temperatures to the upper 50′s often into the low 60′s. Rainy cloudy weather entices topwater bites from Lake Wedowee’s Big Bass when these rainy warming trends take place. * Spinnerbaits have fooled a lot of big bass on this lake. Some anglers fish them slow and other anglers scan the shallows to fish spinnerbaits around wood and rock cover. * Crankbaits, floating and suspending jerkbaits, Rattle traps and Cordell Spots (lipless lures) are good lure choices for covering water fast and for getting those instinct strikes. * Jigging spoons and tail spinner lures are good choices for locating deep bass. Bring plenty, they do hang up. 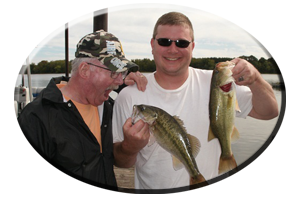 * Swim baits are oversized soft plastic, baitfish imitating lures, that are seldom fished by trophy bass anglers on Lake Wedowee. They are great lure choices in clear to lightly stained water conditions. Swim Baits are great lures for attracting Big Bass bites, that other lures fail to entice. * Give Lake Wedowee a try this winter for a chance at some really Big Bass action and discover some techniques all your own. But keep in mind there are some very big bass in this lake. * My advice; leave the light tackle, light line and small lures at home. * CHRISTMAS GIFT, FATHERS DAY GIFT, BIRTHDAYS, OR ANY OCASSION! Always call on Reeds Guide Service …first! 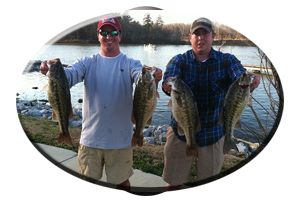 For guided bass fishing trips to any lake in Alabama! Gift Certificates are available – Please call (205) 663-1504 or E-mail me at: alabassgyd@aol.com Discounts available!